How’s your week been? Me? Saw Noah. I actually didn’t have quite the negative reaction that many other religious people had. Some of the consistent complaints about the rock people, the fact that the wives weren’t present on the ark, and the sleeping smoke didn’t bother me so I thought I’d offer a contrary review of the movie. Supposedly, these creatures were angels who chose to leave Heaven to help Adam and Eve once they were dispelled from the Garden. Because they disobeyed God, he made them into these beings. Sure, these “rock people” aren’t in Genesis but we know that consistently in the Old Testament that God handed out punishment for disobedience. I thought that principle was consistent with a lot of Old Testament teaching. I think creative license could have been taken on this and how Noah did built such a big vessel. 2. Noah’s sons didn’t have wives. Technically, the girls they adopted into their family had conceived her twin girls prior to boarding the ark so technically– they were present. I’ll give leeway here. In the movie, a smoke is used to put the animals to sleep but does not affect humans. People cry that this could not plausible. So, we’re okay that God can summon all the animals to come to the ark but He can’t create a smoke that only affects animals. And– speaking medically– medications do affect people and animals differently. For instance, some over-the-counter pain relievers we take are quite harmful to animals. 4. Noah as a crazy religious man. While being confined to the ark, Noah develops the belief that perhaps ALL humanity is supposed to perish and so when he finds out of the pregnancy of the adopted daughter– he threatens to kill the child if it’s female. I get the plot hole– why not kill the adopted daughter, too, since she’s not barren? What I actually found interesting about this is that the Bible doesn’t spell out Noah’s exact actions on the ark. Little is said. I know people who develop certain beliefs, even very religious people, that aren’t necessarily biblical and then eventually come to a new understanding. I think this was depicted in the film– where he chose not to kill the twin girls in the end. We don’t really know what Noah was like and, personally, I’d get a little crazy too being locked up with animals and a few humans for that long of a time period. The symbolism of the snake skin being a blessing/birthright to subsequent generations. In Noah’s visions, the snake (being the devil) sheds his skin. In the first scene of the movie, Noah’s father wraps this snake skin around his forearm to give Noah a blessing. Before doing so, Noah’s father is murdered and the snake skin gets into the hands of the villain. At the end of the movie– Noah has it back and uses it to “bless” his two granddaughters. Hmm– why would you use the skin of the serpent as a blessing? The one thing that tempted you to do evil. That’s what I’d like to discuss. 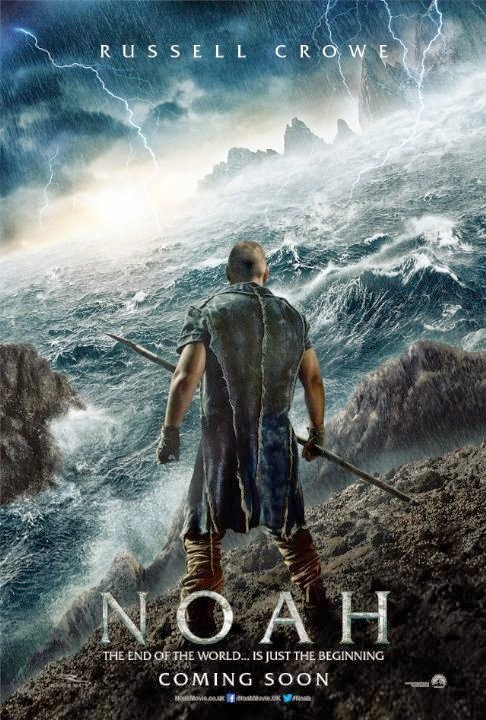 Did you see Noah– what were your thoughts? Now– back to the medical mayhem. Tuesday: Broken Heart Syndrome. Is it a real thing? Thursday: Fascinating author question about what a monitor can and can’t tell a nurse.